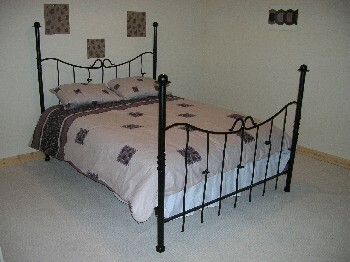 Original Iron Beds- traditional - unique ! 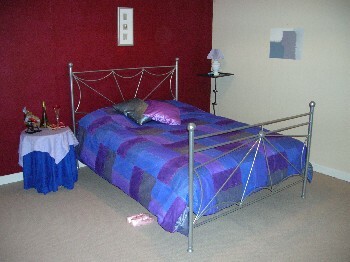 Celtic Dreams Ironwork are located in North Wales and are proud to offer our "Exclusive" range of hand crafted wrought iron beds. As a family run firm, we pride ourselves on good customer relations and a friendly service. Please ring anytime for advice or help or visit our showroom in Denbigh, North Wales. 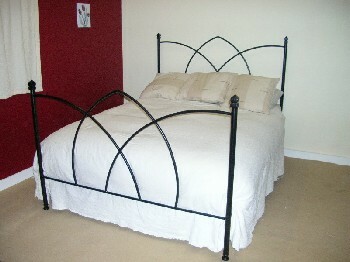 Our "Exclusive" range of wrought iron beds are crafted in both traditional and modern designs. They are a combination of romantic charm and strength and will last for generations. They are all hand made by local craftsmen at our workshop in Denbigh, North Wales. 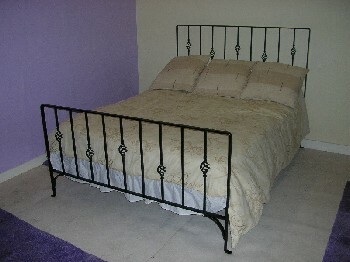 They are NOT mass produced and each bed is individually made for our customers. We do hope you become one! If you have any ideas or would like to design your own bed (in iron) please call us or send a drawing or sketch and we would be happy to advise and provide a quote. With our showroom in Denbigh, North Wales and a good delivery system, to deliver throughout the United Kingdom, we are confident that this arrangement will deliver to the customer a top class product. We are confident you will find a bed to suit your particular taste and which will bring elegance and grace to any bedroom. 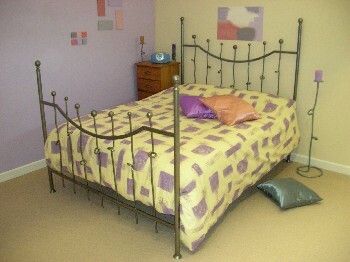 Please scroll down through this page to see our range of beds. Please click on either the photograph of each bed or on the navigation links to the left of the screen and you will be able to see a much more detailed picture, together with prices etc for each of our stunning beds. 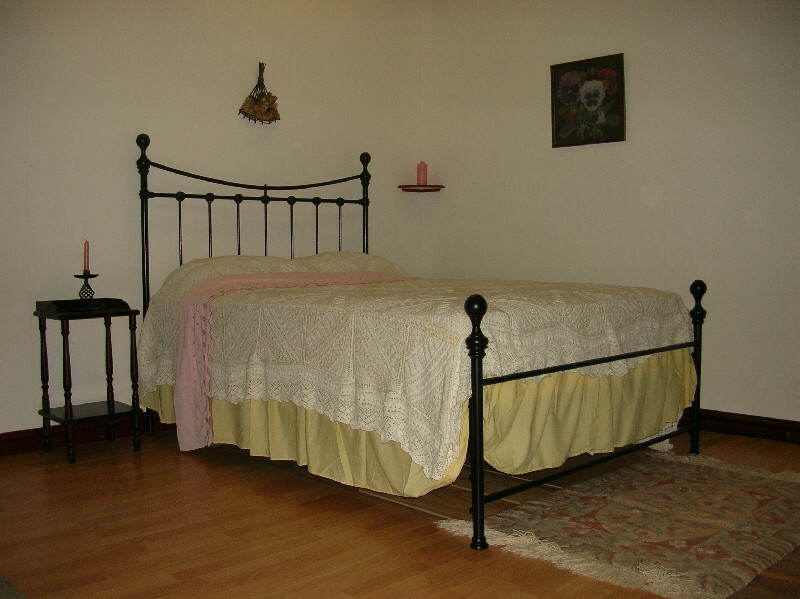 Delivery is within 21 working days as each bed is produced to order. A £15.00 delivery charge is added to the bed price for delivery to your door on UK mainland. We accept the following credit cards . Our beds come with easy to follow assembly instructions. Click here to see our range of beautiful handcrafted wrought iron curtain poles for straight and bay windows.